Roger Vigulf (International soloist)holds a Bachelor Degree in clarinet from the Norwegian Academy of Music, where his teachers were Professor Richard Kjelstrup (clarinet), and Leif Jørgensen and Torkil Bye (chamber music). He continued his studies in clarinet with Lee Morgan in Copenhagen. 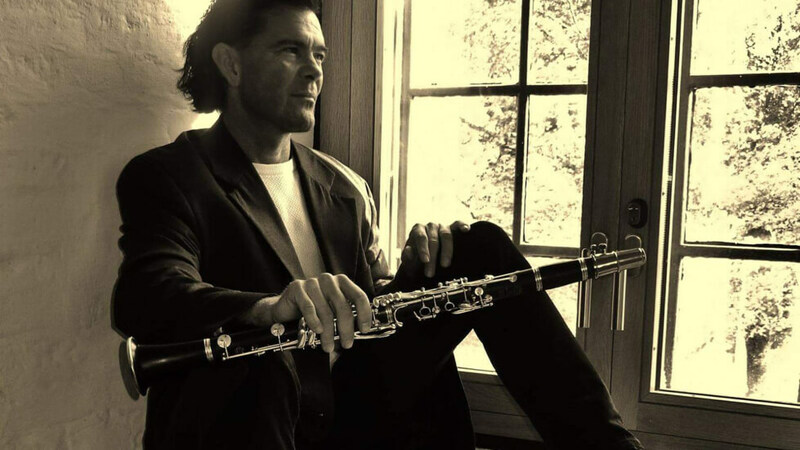 Vigulf has been active as a freelance musician since 1989 and parallel to his domestic career he has also been internationally active as a chamber musician and soloist since 2000. He has toured in USA, Lithuania, Ireland, England, Sweden, The Netherlands, Belgium, Norway, Denmark, Finland, and Bosnia-Herzegovina, with a.o. The Lithuanian Chamber Orchestra, Kaunas City Symphony Orchestra, Calstate University Jazz Orchestra (Los Angeles), in addition to the Vilnius State Quartet, Chordos Quartet, Disobedient Festival Orchestra, Cicada Quartet, and the Hansa String Quartet. He has cooperated with many of Norway’s finest chamber musicians and international artists. 2008 saw Vigulf featured as soloist of the recording of « 4 Concertos » with the Lithuanian Chamber Orchestra, conducted by Robertas Servenikas. In 2000 MTG production released « Profiles » with Roger Vigulf, Einar Henning Smebye and a string quartet from the Norwegian Radio Orchestra, featuring works by Lasse Eerola, Bjørn Kruse, Edvard Hagerup Bull and James MacMillan. In 2010 he published his first CD as a composer and musician, « Mythologie », recorded in the Mama Studios in Vilnius together with Lithuanian colleagues. In addition to his career as a performer, Roger Vigulf is also active as a freelance composer. His music has been performed in major concert halls in Lithuania as well as in Norway, USA, Ireland, England and and Bosnia- Herzegovina. In 2001 Vigulf was featured as soloist with Vilnius Quartet in broadcasts aired by the Lithuanian National Radio and TV; media outlets that have also broadcasted his work « 7 Disobedient Birds ». Recently(march 16th 2013), his « Darkness across the Land » for Sinfonietta was premiered in Knudzonlund Hall in Frei-Norway with Kristiansund Sinfonietta and conductor Kjell Seim. May 9th 2013 Roger Vigulf has soloist engagement with Klaipeda Chamber Orchestra in Klaipeda Philharmonic Hall-Lithuania where his beautiful composition « Herdis Maria » will have a Lithuania première(clarinet/orchestra version). This piece is dedicated Herdis Maria Siegert (www.siegert.no) In Memoriam. Roger Vigulf has received a number of Norwegian grants and scholarships. He is a member of the Norwegian intellectual rights societies TONO and GRAMO, National Federation of Norwegian Musical Artists and the Norwegian Composers Society. In november 2013, Mr. Vigulf started Lithuania Wind Octet together with Sarunas Kacionas. The ensemble consist of the best wind players in Lithuania.